Cue the confetti, 'cause this bodysuit is a party waiting to happen! 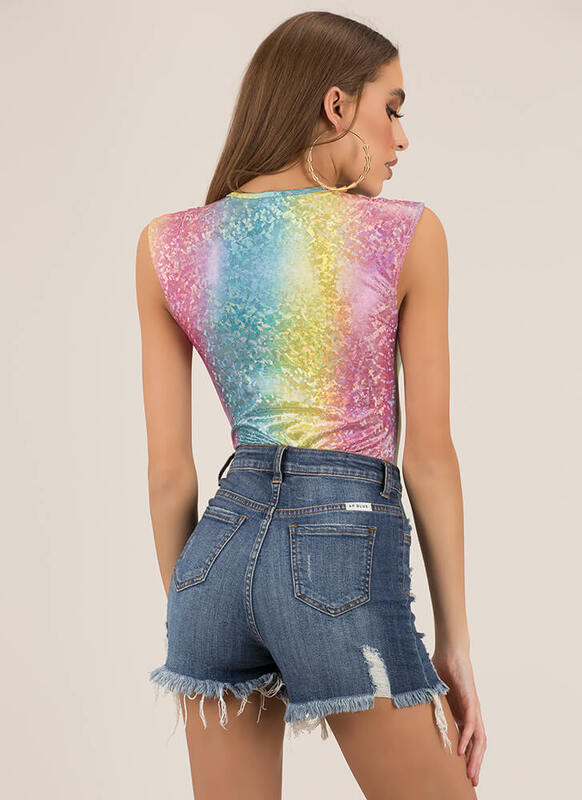 Stretchy, lightweight, sleeveless bodysuit features a coated material throughout with an allover rainbow-inspired ombre print and a holographic, iridescent, confetti-inspired pattern. Bodysuit is finished with double snap button closure at the crotch for easy on and off. Pattern placement may vary.